Jonesboro — E. Ritter & Company CEO Chip Dickinson announced today that following a nationwide search, Alan G. Morse has been chosen as President of Ritter Communications. “Alan has distinguished himself through his work and leadership in the communications field,“ said Dickinson. 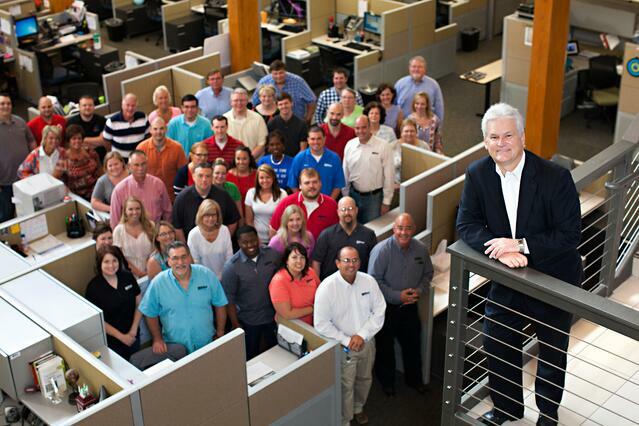 “He shares our values and our focus on the customer and is committed to continuing our growth and innovation. Morse is a highly accomplished telecommunications executive with an extensive background in strategic planning, sales, marketing and operations. Immediately prior to joining Ritter he was the principal of the Morse Consulting Group, a boutique management consulting firm offering strategic business planning and operations consulting services to a number of companies in the communications industry. From 2002 to 2007 he was CEO for iPCS, Inc., a $500 million and 500-employee wireless communications provider affiliated with Sprint. Prior to that, he was COO for Telepacific Communications, Inc., a private equity-backed CLEC providing business Internet, phone and data services in the Los Angeles, CA area.